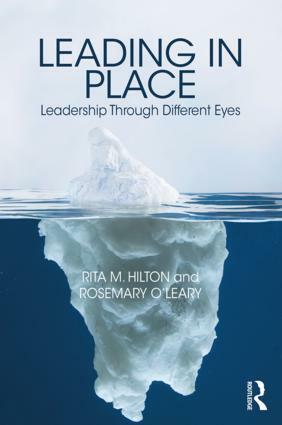 In Leading in Place, the authors open up new avenues in the debate on leadership by drawing the reader’s attention to the ways in which women can be—and are—leading in organizations and communities in sometimes unconventional, often unrecognized, ways. Through surveys and interviews, this practitioner-academic team has conducted a thorough and fascinating study of women in various leadership roles, from paid high-level executives to community volunteers. The book bridges the chasm between what the experts write about leadership and what is experienced in organizations and communities. It pushes the reader to think about how unconscious biases have influenced perceptions of leadership in research and organizations. They suggest leadership research should be updated to integrate 21st century realities by moving past both bias towards male prototypes, as well as the ‘great women’ genre, revealing a wealth of experience and knowledge, including insights about leading in place. With strategies for addressing issues around leadership at both the individual and organizational levels, this book will provide students of leadership as well as professionals with insights that challenge the ways we think about women leaders and leadership more generally. What Does Leadership Success Look Like? What Development Experiences Would Be Beneficial?